There are cases where mortgage borrowers do not have any credit scores. Traditional Credit are credit tradelines that report on credit bureaus. To be considered a credit tradeline, one year seasoning is required. Examples of non-traditional credit tradelines are creditors who do not report on the credit bureaus. 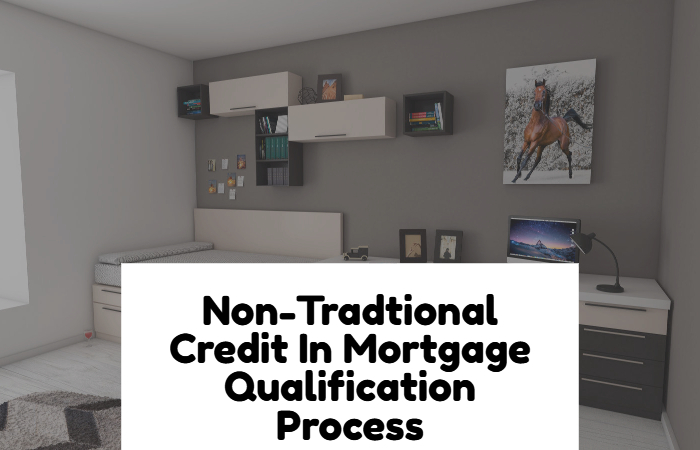 Non-Traditional Credit In Mortgage Qualification Process needs to be documented using a Non-Traditional Credit Report also referred to as NTMCR. There are instances where non-traditional credit in mortgage qualification process cannot be used. Payment to care providers for children and elderly can be used as non-traditional credit tradelines. Payment of medical creditors that is not covered by insurance is considered non-traditional credit. Credit requirements for borrowers with insufficient credit is tougher than those with standard three credit traditional credit tradelines. Credit history of timely monthly payments during prior 12 months. Home Buyers who do not meet credit tradeline requirements from other lenders can contact The Gustan Cho Team at Loan Cabin at 262-716-8151 or text for faster response. We are direct lenders with no lender overlays on government and conventional loans. We are available 7 days a week, evenings, weekends, and holidays. Or email us at gcho@loancabin.com.